Each season, Bachman’s designers transform the historic family home into a magical destination for design inspiration. 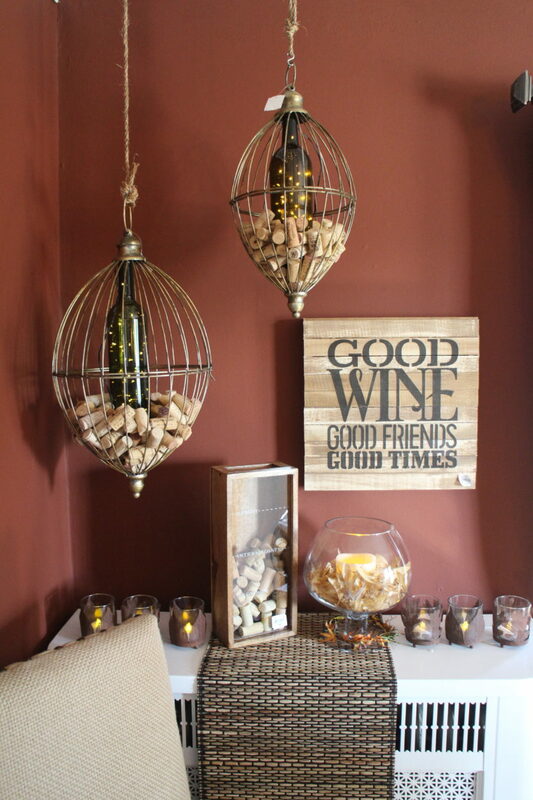 They completely repaint, refurnish, and redecorate the house with the latest product and trend ideas in home décor and entertaining, using their signature mix of vintage and new pieces. 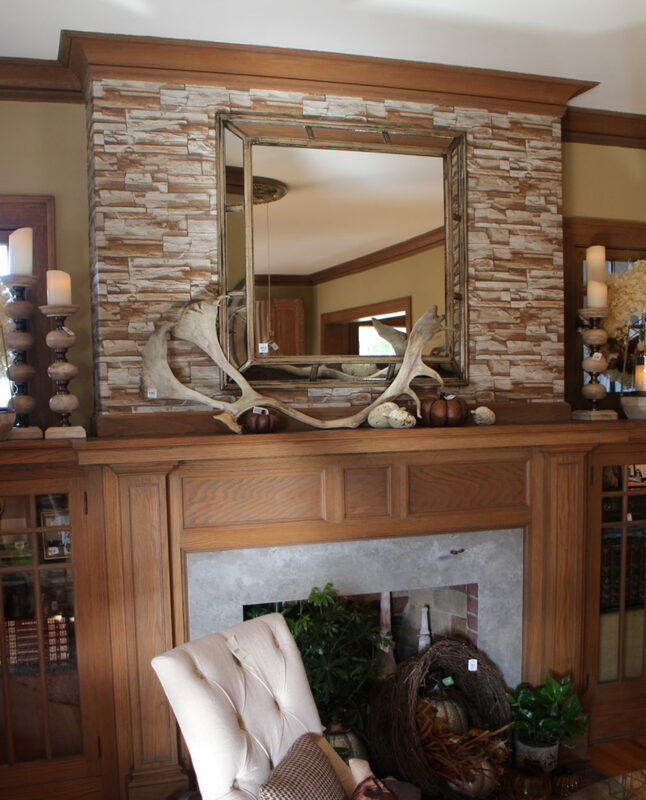 The stone above the mantel makes the entire fireplace a stand-out focal point in addition to pulling together the colors and textures in the room. And it’s wallpaper. Given the popularity of the gallery wall, Bachman’s has given us an entire room of gallery walls. 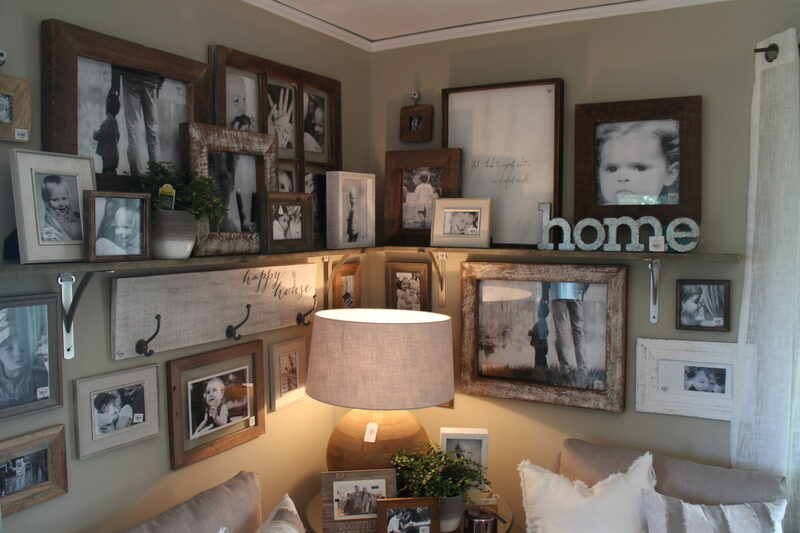 Gather inspiration on creating a professional looking gallery wall in your own home mixing and matching photos, artwork, and favorite collectables. The framed pieces of scrapbook papers (first gallery photo) caught my eye and it would be so easy to update. 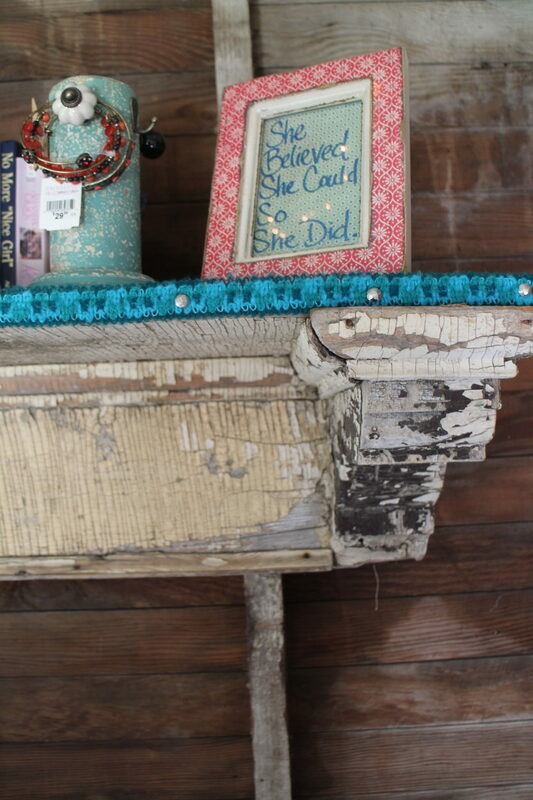 A little piece of heaven from the She Shed! She what? 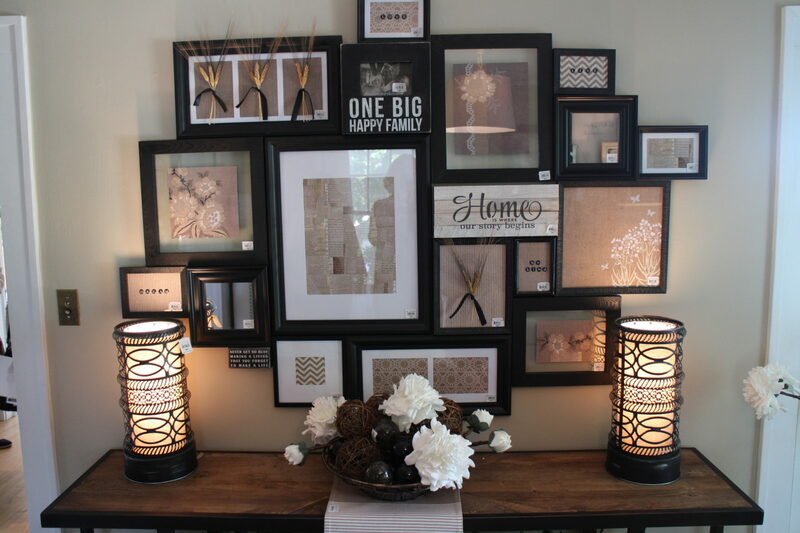 Hopefully this glimpse into the Fall Ideas House makes you want to stop by and see for yourself what Bachman’s has to offer for fall decor and design. Mixing vintage, repurposed and new is where Bachman’s designers excel. Hirshfield’s Pinterest board will be updated with additional Ideas House photos later this evening AFTER I visit my Wine Room. Enjoy your weekend! The Ideas House runs through October 4, 2015. Here’s a link for details. Any of our Hirshfield’s paint specialists will be happy to help you find the colors used in the Bachman’s Fall Ideas House 2015.